Delay is a word in translation of a Hebrew and Greek word. In essence for delay as phenomenon to take place there must be a fixed time promised to happen. A number of fixed time prophecies were made in both the Old and New Testament [as continuation of the Old] but not all researchers operated with the same model of hermeneutics to properly analyze it. Messianic delay is the most popular delay discussion. For Judaism this phenomenon is still delayed. Delay must consider the horizontal perspective and the vertical perspective. In both cases there are maximalist views and minimalist views. Two sets of researchers in the horizontal perspective will talk about the delay of the Old Testament as if they expected the Messiah to inaugurate the Kingdom of God in Glory at the same time. The maximalist researcher is distinguishing between the kingdom of grace and the kingdom of glory. For the Kingdom of Glory period, no one knows the hour. Only God the Father knows. As the Australian systematic theologian Robert Gunton on the Trinity said, there are three individual prerogatives that the Trinity divided among themselves: Christ will die for us; the Father will decide the Second Coming for us and the Holy Spirit will equipped the believer for us. The Second Coming time is not known so the delay of the Second Coming is only delay in a maximalist view if the prophetic periods is analyzed in a historicist manner, namely that the 490 days as years precisely dated Christ’s first coming, which is not a delay, that the 2300 days as years prophecy starting at the same time as the 490 years in 457 BCE in the time of Ezra 7 will end in 1844, thus the Second Coming is delayed to beyond that hour in history. Not so with minimalist delay preteristic scholars like G. C. Berkhouwer who want to see the delay doctrine as a “any day expect” scenario ever since the time of Jesus. Minimalist scholars like Albert Schweitzer made Jesus realize that He will not come in His own day as suffer a delay bad news scenario and then adjusted His timings to a long-delay shift. It becomes more of an individual eschatology rather than a historical global eschatology (so Berkhouwer). But get this: the fact that Judaism misinterpreted Jesus’ mission as the Kingdom of Grace Messiah, and C. H. Dodd misinterpreted it further as “realized eschatology” when it is not realized yet, but just got the ball rolling, thus the Kingdom of Grace as opposed to the Kingdom of Glory still to come, means that “delay” has to be in the arena of the Kingdom of Glory and not in the Kingdom of Grace. Christ’s dying on the cross was not delayed. From a human perspective there is a delay of the Second Coming since the Investigative Judgment is now over 180 years ongoing, but that is not to say God the Father is delaying His selection of a date for His coming. Thank God He delayed it so that I may have a chance. Whenever a prophet or person asked the question in the Old Testament “How long . . .?” it was done with the idea when the Kingdom of Glory will be set up eliminating all evil enemies. That is where the delay was operating and not with the coming of the Messiah. Some How long questions were asked related to the beginning of the cleansing of the heavenly sanctuary as in Daniel 8:13 that would kick-start in 1844 until shortly before Jesus’ Second Coming. Adventists are the only denomination with this consistent hermeneutics of year-day principle plus 457 BCE plus 490 days and 2300 days started at the same point. Datesetters is a term for those faithful in the history that were setting dates for the Second Coming of Christ believing it is “near” their own time. It is wrong to include John, Paul, Peter and Jesus as saying that the Second Coming is near in their time. When they were talking, they had these schematic periods of the prophets in mind with a year-day principle and when the time will come at that future point near the Second Coming of Christ, then it will be near. Pope Gregory the Great 590 A.D. thought the second coming is near in his time. Joachim de Fiore and Alexander Minorita (1242-1249 when the additions were made in his Revelation commentary in Expositio page 114, 7 and 115,9 on Revelation 7:3 saying the Second Coming is near) as pointed out by Sabine Schmolinsky (Schmolinksy 1991, page 39 footnote 131), were datesetters. Martin Luther thought it will be in his time 1520 A.D. and afterwards. The Millerites were datesetting in 1843 and then 1844 before Adventists gave up the idea of datesetting. What can be known is the nearness but not the date. Alarmists are people who pronounce the nearness of the Second Coming, not the date. Quietists are those who tone down the excitement by pointing out that everything is the same as before. Schmolinsky is a quietist with the refrain of an axiom based on her exegesis of 1 John 2:18 “in der er die allegegenwärtige Nähe der Endzeit ausgedrükt fand” and Alexander Minorita said in his commentary on Revelation in 1242 about 1 John 2:18 “Et Johannes praesens tempus, quod multum transcendit vitam iamdictorum persecutorum, unam horam appellat . . .” Expositio pages 112-114; 123-124. J. Paulien used a problematic methodology to unwind the concept of delay in the Old and New Testaments. He said that for Moses the end was a process not an event. (Paulien, 1994, page 51). “All these blessings will come upon you if you obey” Deuteronomy 28:1, 2. This is not correct. He said that Moses viewed the end as a gradual evolutionary progress (Paulien 1994, 52). He also pointed out that Moses thought “the end would come within history” (Paulien 1994, 52). Paulien viewed the curses of Deuteronomy as a “reverse eschatology, a progressive doomsday” (Paulien 1994, 52). He presented the preteristic view that “Deuteronomy portrays a national view of the end. The nation is addressed as a whole. There is no concept of a remnant” (Paulien 1994, 52). He also understands that the “end that the prophets envisioned would come within history and geography as they understood it” (Paulien 1994, 56). He did not read the commentaries of Keil on the prophets of the Old Testament. There are eschatological passages that has no ring in history. Also said by Ellen White and the German scholar Keil with Delitzsch. Paulien believed that the view of the End in the Old Testament was a “developing one” (Paulien 1994, 57). This is Preterism of the Reform tradition at its best. It is Eichrodt’s artificial evolving concepts of the Old Testament. Paulien thought that Micah 4 refers to the garden of Eden as a suburb of Jerusalem (Paulien 1994, 58). Paulien could not understand Isaiah 65:18-20 as eschatological as traditional Adventists and pioneers used it in the past (Paulien 1994, 61). He felt that the war in Joel 2 was to take place in the context of the Exile, a preteristic view (Paulien. 1994, 63). Then Paulien discourages historicism by saying: “To read the Old Testament as though it were a direct description of our time leads one to misunderstand not only the Old Testament but also the times in which we live” (Paulien, 1994, 63). He argues here to keep the Old Testament locked up in “meant” and not bring it to “mean” in our day and age. Where is the prophetic charts of the Old and New Testament with Paulien? He is no longer a SDA interpreter. There is a paradigm shift here and Gerhard Hasel just died. The Endtime Book of Paulien in 1994 is Paulien’s paradigm shift towards Reformed Theology. From now on, he would unwind Adventist doctrines by accepting the preteristic and idealistic axioms of Calvinism and Lutheranism and by using Ellen White here and there, he would spell out his own future agenda. With Eichrodt’s evolution of ideas in the Old Testament, Paulien hum along saying that “The concept of a totally new heaven and earth as is the case in Revelation isn’t really there yet” (Paulien 1994, 64). The influence of the Calvinist Berkhouwer on the Adventist LaRondelle and LaRondelle on his Adventist student Paulien, is here at stake. Whereas the Old Testament is put on the shelve for eschatology as a process or progress, the intertestamental pseudegpigrapha and apocrypha is lifted up that it teaches eschatology of a complete break. The old age and the age to come. (Paulien 1994: 67). Paulien then felt that the Holy Spirit plagiarized [he did not use this word but meant it] the intertestamental apocalyptic data and reworked it for the New Testament! (Paulien 1994, 70). Already in 1973 the Investigative Judgment denouncer Raymond Cottrell wrote an article on “The Eschaton: A Seventh-day Adventist Perspective of the Second Coming” Spectrum 1: 7-31 and also mentioned the apocrypha and New Testament strong connection, see pages 10-11). Spectrum is not actually an Adventist journal but a critical journal of Adventism. 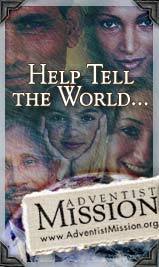 So is Adventist Today. Cottrell was almost a pretext for Paulien (see second paragraph on page 12). They did not pick the ideas from a pie in the sky. Apocalyptic literature and Qumran exegesis was from within the Old Testament and it was imbedded there. Jesus, John, Paul, James, Jude and Peter’s eschatological ideas was not stolen from Qumran or Apocrypha but was already in Moses’ works. Paulien is using a wrong epistemology to study the Old Testament that is why his agenda spelling his methodology is completely wrong and non-Adventist. This book should never have been published by Seventh-day Adventists. To demonstrate Apocalyptic book plagiarism Paulien is citing Jude 14 and 15. (Paulien 1994, 75). Jude wrote in 60 CE but the Assumption of Moses by Clement dates to 160 CE, one hundred years after Jude! It is rather an interpolation of Jude in the Assumption of Moses than vice versa. Paulien should have looked at Textual criticism of the Assumption of Moses literature. James H. Charlesworth whom I attended one lecture of at Stellenbosch University in my student days said the following about Jude 9 “Jude 9 refers to the story of the dispute between Michael and Satan for the body of Moses an account that does not appear in our text. That the episode was contained in the lost ending of the Testament of Moses or in a cognate work, properly called the Assumption of Moses, is possible but our present information does not warrant any positive conclusion” (J. H. Charlesworth, . The Old Testament Pseudepigrapha: Apocalyptic Literature and the Testaments. Volume 1 [New York: Doubleday], page 924. He is using the work of J. Priest, Testament of Moses. ) The textual criticism of Enoch is very complicated. The Qumran Enoch is not the same as the printed editions of Enoch. R. Charles believed that Enoch is quoted in the New Testament. (R. Charles, Apocrypha and Pseudepigrapha II page 180ff.) F. M. Cross said about Qumran Enoch the following: “Again it seems increasingly clear, from provisional examination of the documents of Cave IV, that those views are correct which insists that the received editions of 1 Enoch and the Testaments of the Twelve Patriarchs came from Jewish-Christian hands which supplanted and reworked (rather than merely interpolated) Essene editions.” (F. M. Cross, 1958. The Ancient Library of Qumran and Modern Biblical Studies [New York: Doubleday & Company, Garden City], page 149 at no. 6). Enoch was only preserved as edition in late versions, not even the original language. To then investigate New Testament plagiarism with this later work compared to the New Testament is unfair to the New Testament. But it is fine with preterists and Paulien’s agenda after 1994, is Reformed preterism in Adventist lingua. Paulien then wanted to Christolize his eschatology and then did so with Paul’s conversion (Paulien 1994: 81). Christology is then infused in Paulien’s eschatology from now on with reliance on LaRondelle via Berkhouwer. Paulien then claims that what was geographical in the Old Testament is then enlarged by John in Revelation to be “worldwide”, thus a transformation of the Old Testament message (Paulien 1994, 82). This is non-Adventist. None of the pioneers used this language and neither did Spirit of Prophecy. Paulien is as Preteristic as you can get. I know because I studied under Reformed Calvinistic professors at Stellenbosch University. They all talked like this. He finally came to a criticism of historicism: “New Testament anticipation of the Second Coming is grounded not on calculations based on the latest events, but on the certainty that the new age is already here in principle” (Paulien 1994, 83 endorsing, just like Berkhouwer, C. H. Dodd concept of realized eschatology). He threw out periodization by Jesus when he said: “Evidently Jesus was not too eager to provide a clear chain of events that would lead up to the end” (Paulien 1994, page 86). However, Mark 13, Luke 21 and Mattthew 24 is quite clear and in support with what Paul taught in 1 Thessalonians 2 and 3. Paulien felt that Mattthew 24’s prime purpose is to teach us to keep watch. Against the alarmists Paulien said: “The perpetual nearness of His coming motivates us to continual readiness and eager expectation. The lack of specific time or a datable sequence of events warns us not to be distracted by current or creative calculations, but to be faithful in everyday duties” (Paulien 1994, 86). Here Paulien is summarizing the view of Berkhouwer in his book The Return of Christ and especially the chapter on the Delay of His Coming. Berkhouwer talked about individualized eschatology and the apocalyptic eschatology. Paulien admitted that he did not consult Ellen White in writing this Endtime book: “Although it is not the purpose of this book to thoroughly canvass her [Ellen White] view of the end, I did endeavor to read every comment she made on the passage, and found her position as a whole to be compatible with the outline of this chapter” (Paulien 1994, 101 footnote 2). With LeRoy Froom and Edwin de Kock one can say: “the Lord has not only foretold the future through the Scriptures, but also from time to time provided ‘prophetic witnesses’, people who could read what Jesus called the signs of the times” (E. de Kock, . The Use and Abuse of Prophecy. Edinburgh, Texas: Gateway Printers, page 68). Internal expositors were the consistent prophets of the Bible. External expositors are those guided by the Holy Spirit to augment what previous scholars have written or understood, sometime with imperfections, but then to highlight the truth properly. This aspect is brushed aside by Paulien in his Endtime book. For Paulien delay is then not important. What is important is a personal eschatology of watching and waiting. R. Johnston in his Peter and Jude 1995 with a foreword by G. Knight, said that “There is abundant evidence in the New Testament that the apostles were convinced they were living in the last days and that the second coming of Christ was near” (Johnston 1995, 170). This is as preteristic as you can get. The same was said by Albert Schweitzer and G. Berkhouwer. But it is not true. It is a false exegesis of what they really said. Then Johnston said the same as Paulien: “the lively expectation of Christ’s second coming and the setting up of the Kingdom of Glory must be an incentive for godly living in every year of history, however many years that may be” (Johnston, 1995, 170). It may sound very correct and innocent but it is preteristic and Reformed theology par excellance on eschatology. Berkhouwer said it in his chapter on Delay. Johnston then goes on to say Christians must always be ready to go, thus, like Berkhouwer teaching an “individual eschatology of readiness always in every age”. But, this book of Johnston gives a proper explanation of delay by Peter (Johnston, 1995, page 173). “God wants to give people more time to repent.” This is the same as Ellen White said supra. Johnston made a very interesting comment. The expression “day of the Lord” is not only at the Second Coming or at the Hell event but includes like an umbrella all the events from the Second Coming to the Hell event after a millennium in between (Johnston 1995, 174). M. Moore in his book The Crisis of the Endtime 1992 speaks about the delay saying: “At the very least we have to say that there has been a delay. This seems to perplex some Adventists” (Moore 1992, 42). He mentioned of the delay in Jesus’ parable of the virgins is applicable to our time: “In Jesus’ parable, the delay of the bridegroom was a type, a prophecy, if you please, of the experience of the church in our day”. The purpose of the delay is mentioned by Moore as: “To give His people time to obtain the Holy Spirit” (Moore 1992, 42). “The question, ‘So where are we now?’ is crucial to those who live during the delay, and the closer we come to the second coming of Christ, the more compelling that question becomes”. (ibid). About the delay of the virgins Ellen White said: “the experience of the church that shall live just before His [Christ’s] second coming” (Ellen White, Christ Object Lessons, page 406). R. F. Cottrell wrote in 1973 in his article that “Apparently it never occurred to them [apostolic church] that his [Christ] coming might be delayed even one century, to say nothing of nineteen centuries” (Cottrell 1973: 14). The problem with Cottrell’s opinion is that he is reflecting the Reformed preteristic position here. Then Cottrell blamed Jesus just like Albert Schweitzer did: “Jesus Himself provided the basis for this expectation” (ibid). This material has been dealt with in Berkhouwer’s book on the Second Coming of Christ in the chapter on Delay. Cottrell then unwind the words of Jesus in Mark 13 and Matthew 24 and Luke 21 with a conclusion: “It was sufficient for them to know that his coming was near, that they should be ready, and that in the meantime they should act the part of faithful servants going about their appointed task of witnessing” (Cottrell 1973: 14). About delay Cottrell said: “In all the New Testament the only caution about a delay in the fulfillment of the advent promise is actually just a warning against the belief that ‘the coming of our Lord Jesus Christ and our assembling to meet him’ and ‘the day of the Lord’ had already arrived” (Cottrell 1973, 15). Cottrell cited 2 Thessalonians 2:1-2 and the word enesteken. Delay for Cottrell did not mean “postponed” “only that the specific events to be associated with the advent had not yet commenced” (Cottrell 1973, 15). Cottrell felt that “Paul’s own emphatic statements about the imminence of the advent and those of other New Testament writers make evident that they understood Christ’s eschatological discourse in terms of a return in their day” (Cottrell 1973: 15 and 28 where he listed all the imminence texts: Romans 13:11-12; 1 Corinthians 1:7-8, 7:29, 10:11; Philippians 3:20, 4:5; 1 Thessalonians 3:13, 4:17; Titus 2:13; Hebrews 1:2, 9:26, 10;37; James 5:8-9; 1 Peter 1:20, 4:7, 17; 2 Peter 3:11-14; 1 John 2:18; Revelation 1:1-3, 3:11, 22:6-7, 10, 12, 20). However, a careful reading of all these texts bring a total different scenario than what the preterists are pulling out of it. In the last part of his article, Cottrell wished to explain to members of other denominations that Adventists have the same view of the Second Coming as they have. Especially their creeds. So now one knows why Cottrell wrote his paper so preteristically loaded. (Cottrell 1973, 22). “Seventh-day Adventists eschatology is in accord not only with that of the New Testament but also with the historical tenets of the Christian faith as expressed in the classic creeds of Christendom, catholic as well as Protestant.” He later denounced the Investigative Judgment and called Hasel the greatest disaster that the Seminary ever experienced. In 1 Selected Messages page 67 Ellen White said of Christ’s coming: “But He did not come in human form until the fullness of time had expired. Then He came to our world, a babe in Bethlehem.” So God does have fixed times for the First Coming of Christ. R. P. Carroll (1982). “Eschatological Delay in the Prophetic Tradition?” ZAW 94, pp. 47-58. J. Paulien, (1994). Endtime. Hagerstown: Review and Herald Publishing Association.